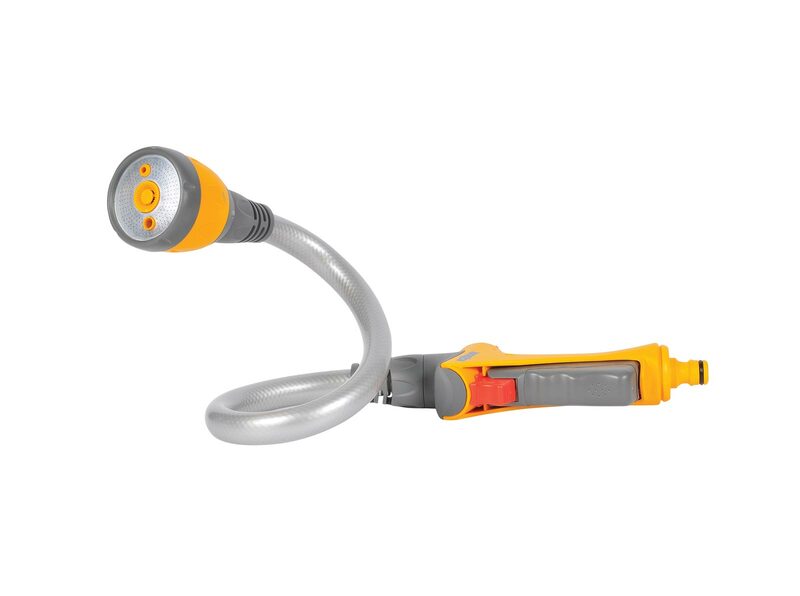 An exciting, multi-purpose hose end attachment designed to perform a range of watering functions for gardeners looking for an all-in-one watering solution. 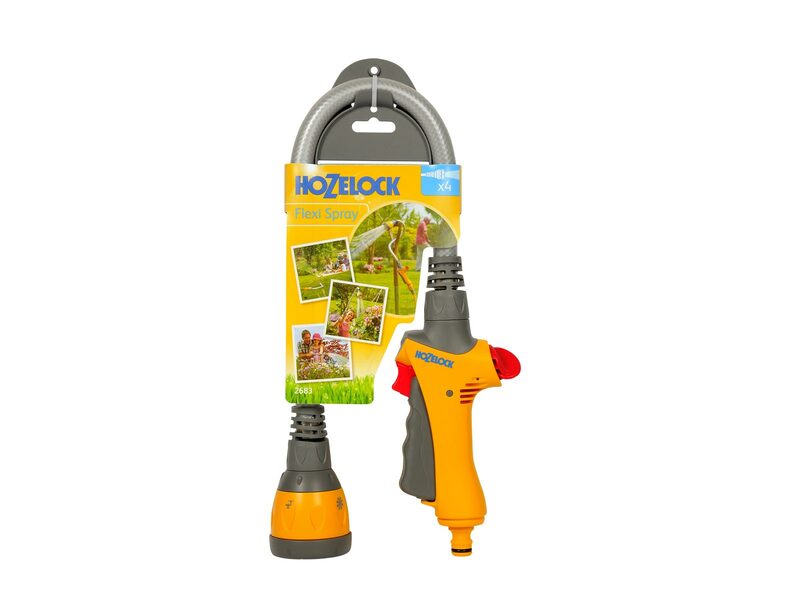 WINNER of the prestigious RHS Chelsea Flower Show-Product of the Year 2013. 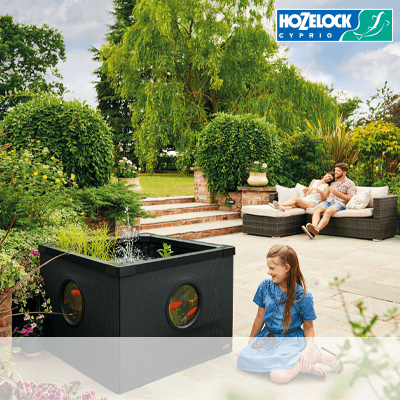 The Hozelock Flexi Spray is an exciting, innovative multi-purpose hose end attachment designed to be moulded into an array of shapes to perform a wide range of watering functions. 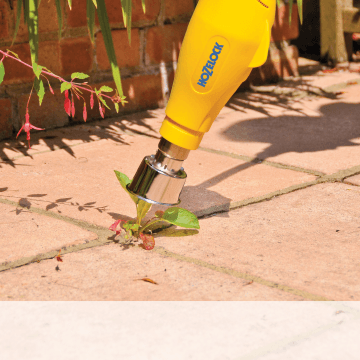 Long Reach Spray Gun: Easily water your pots, containers and borders with minimal effort and water wastage. 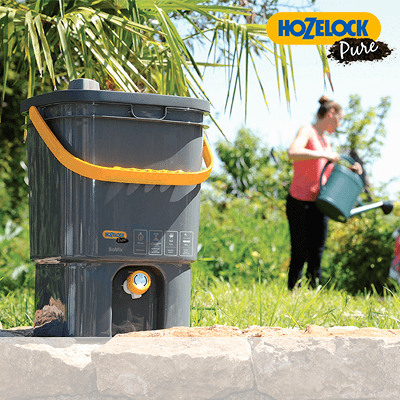 Hanging basket waterer: Extend your reach by 60cm to water those hard to reach areas by transforming the Flexi Spray into an effective hanging basket watering device. 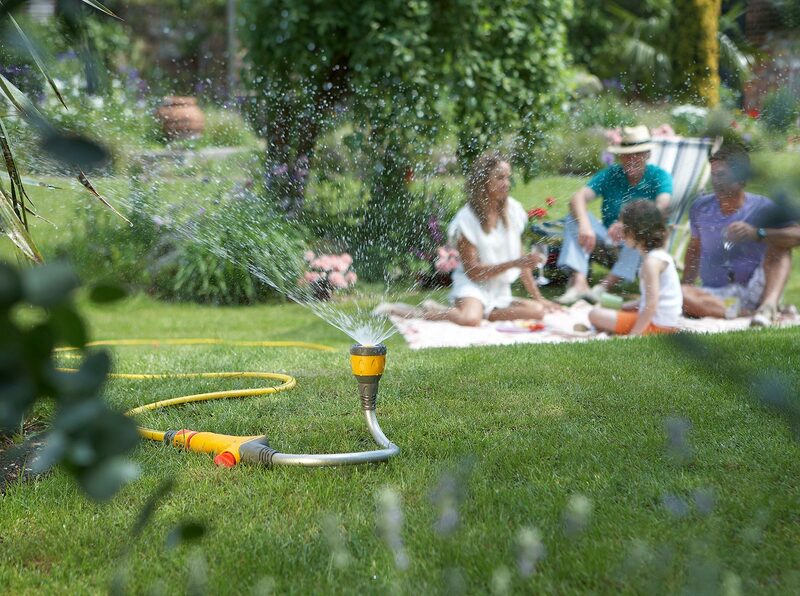 Sprinkler: Water your lawn with ease by creating a wide area sprinkler capable of covering up to 69m2. 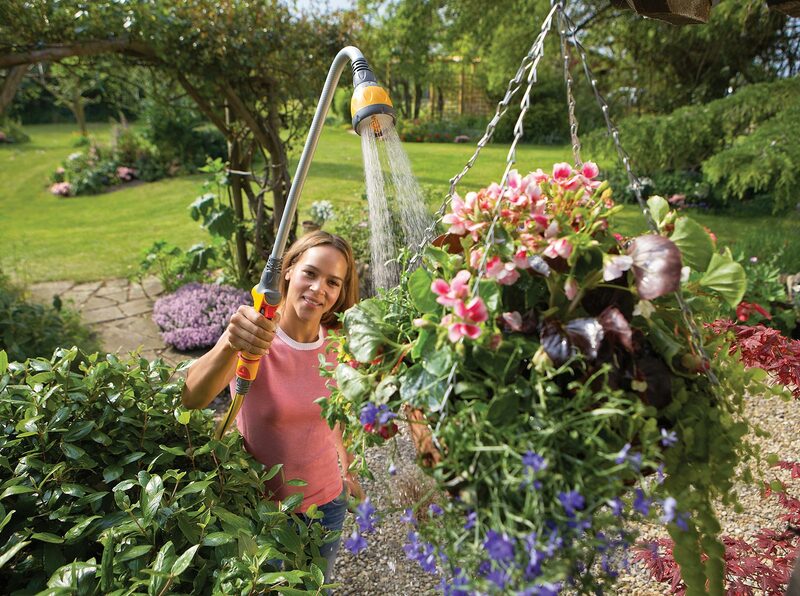 Hands free watering: For the occasion when you need to give a specific plant or area a good watering. 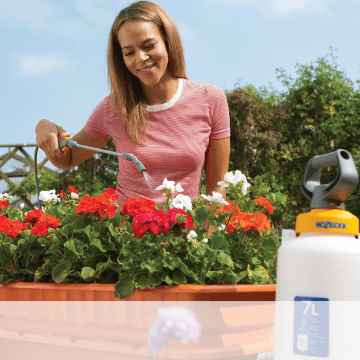 The Flexi Spray can be conveniently moulded and left to water on its own. 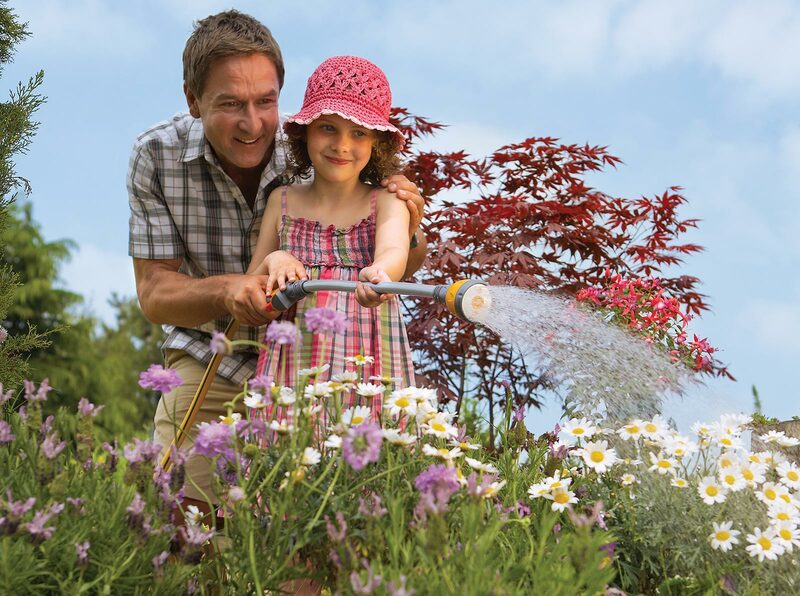 The flow control & 3 stage trigger, provides you with complete control of water delivery, meaning happily watered plants and minimal water wastage. 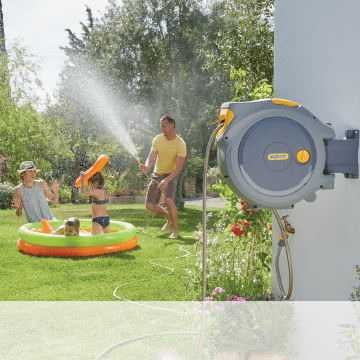 4 spray patterns: Fast fill for filling buckets and watering cans (1), Jet for high power cleaning (2), High definition metal rose for gentle watering (3), Sprinkler for wide area watering (4).